On Sunday, November 11, BSUMC is pleased to welcome renowned Biblical archaeologist Dr. James Fleming for two lectures on the theme of Christmas Preparation. The first of these, “Bethlehem in Judea,” will be held in Memorial Chapel during the Sunday School hour at 10:00 AM. The second, “Light & Darkness,” will be at 3:00 PM that afternoon, with a reception beginning at 2:30 PM in the Orders Parlor. 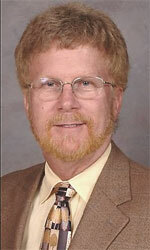 Dr. Fleming is the founder of Biblical Resources LLC in LaGrange, Georgia.